I first saw this great store house of information when in Maine many years ago. I think at that time it was the only one they published. I picked one up and it's maps have guided me to some of the best fly fishing available. It's very detailed and very accurate. It's thin blue lines have led me to many wild trout, not to mention some beautiful country. They print these for many states now and I have one for the states I fish in. Some of the pages of my maps have lines drawn everywhere. They have been of great value to me and I would suggest you pick up a copy for the state you live in. The maps are clear and easy to read and follow. I want to pass along some thoughts on a wonderful fly shop. Elderdge Bros. on US Rt.1 in Cape Neddick Maine. And the first thing I would like to comment on is the first thing said to you when you walk in is a eye to eye sincere "Good Morning". When you walk through the shop you'll notice how well stocked they are, both for fresh and salt water fly fishing. Tying materials are organized and labeled for ease of shopping. The fly bins are full, and flies are still tied by local tyers. Have a question, time is taken to answer it so there's no doubt. They pride themselves in making your stop there helpful and rewarding. Neat, clean and well stocked. I wish I could post all the photos of this wonderful shop. 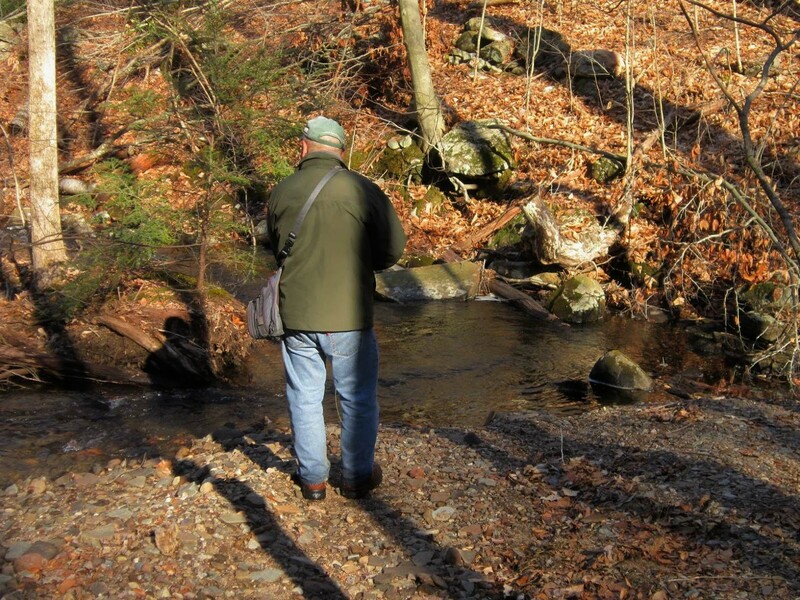 The gentleman holding the tablet of a Maine autumn wild brook trout taken on a "Bomber". He told me he has taken trout on that fly world wide. Patagonia to Europe. That's the "Bomber"
If your ever in the vicinity of Cape Neddick Maine, stop by and enjoy a Fly Shop. A small stream, flowing simple and free. This is a path I have taken, a path which means so much more today. When I started this blog one of the main features was "The Simple Aspect To Fly Fishing". And I believe I've shown this type of fishing in the past posts. 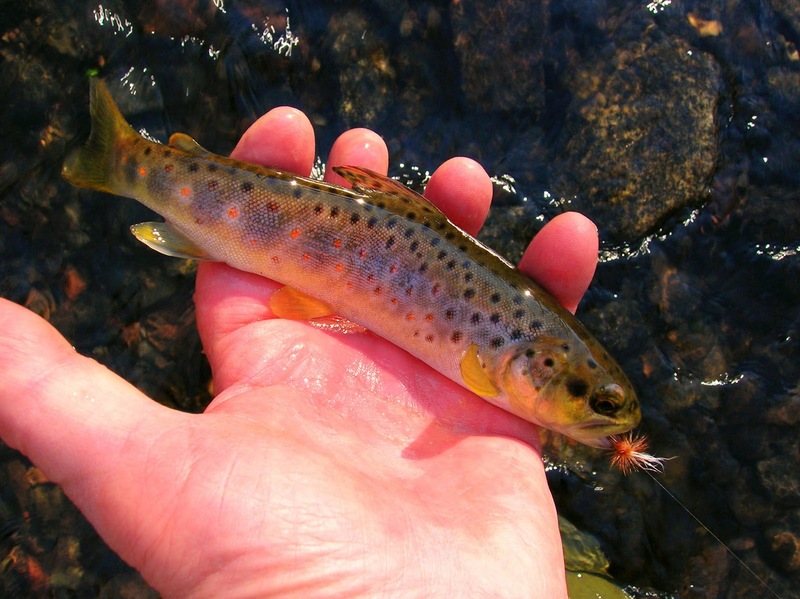 Small streams are not complicated, nor are the wild trout that inhabit them. Food, shelter and cold clean waters are pretty much all that's required. Over the past year I've come to enjoy this aspect of angling even more. Certain happenings in my life have taken place and they have made me look to the simple and important things in my life, for these I'm grateful beyond words. So on your next outing instead of getting frustrated over what the trout are feeding on and being unable to pick the right fly from the hundreds in your fly boxes. Take a deep breath and look around,it's not complicated, just think of the simple wonders in your life. Can it get any simpler, perhaps not. But it can get so much more complicated if we allow it to be. Wednesday morning Kirk and I decided to fish a stream I had not fished in years. It's a nice stream with both stocked and wild fish. Are plan was to use the same flies that have been working for us the past few weeks. Cast after cast and not a bump. We worked downstream and each pool and run produced nothing. I trail walker came buy and told us of the destruction to the stream caused by the hurricane last year. A further comment made was the fishing has not been the same since. Well with his comments and the lack of interest paid to our flies we made the decision to fish another stream. This one is somewhat smaller, but with good water flows and wild trout. The first few pools we fished produced the same results, no interest, I was beginning to loose confidence in my number one fly "The Bomber" and in this case a "mini Bomber". It's a Bomber tied on a 18 hook. As the sun came out and the temps rose,a warm sun feels good on my 100,000 mile bones, the trout soon looked up and a good day began. Both Kirk and I brought awesome colored little brookies to hand, and several I told you I Don't care for those hard bugs rejections. We also took time to rebuild a few wonderful undercuts and deep holes. These were just full of stream debris making them useless to the fish. So with some tugging, and pulling we restored several sanctuaries. This particular undercut gos quite away in. It has good flow and should keep a few brookies safe. You would not believe the amount of debris that came out of there. I don't know what this is, I hope it's from this earth. It was in the leaf litter from the stream. Maybe I should tie a few? 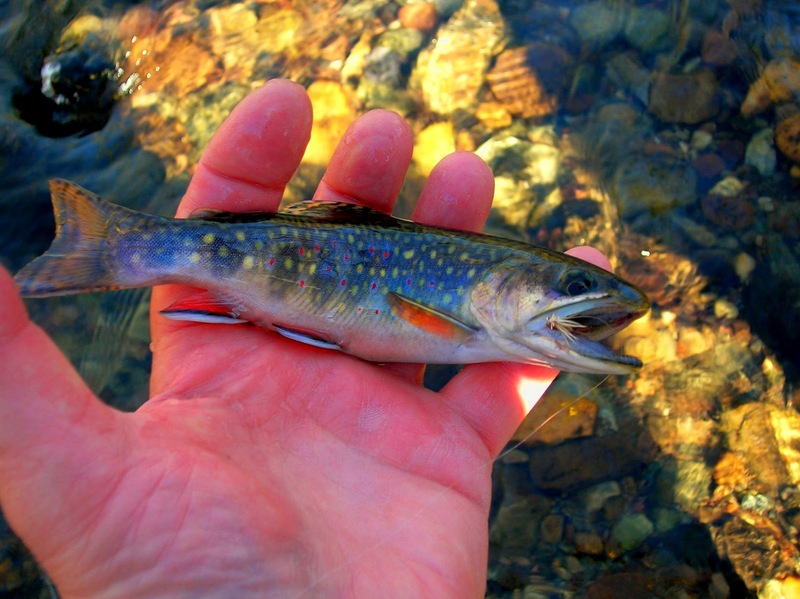 A precious wild brook trout. I know the work we did today and will do in the future will make is habitat better. It got to be a certain time and I had to leave, not good because the trout began to rise. Kirk was going to stay. We both said good day and I started walking out. On the way out I was to fish a few of the areas we liberated. The first one I fished soon told me it worked. The swift current took the"mini Bomber" under the bank and caught a root. That was the only "mini" I had. So I tied on another fly and continued. I came to this run where Kirk had commented such a great run and I have never had a hit in there. I let the fly drift and was surprised when on the second attempt the brown took the fly. The other day while picking and sorting and throwing away I came upon this plastic tote with some interesting stuff. They were items I knew I had but haven't seen them in years. The pattern book by Jack Gartside. The book was purchased at one of the fly fishing shows and was signed by Jack. 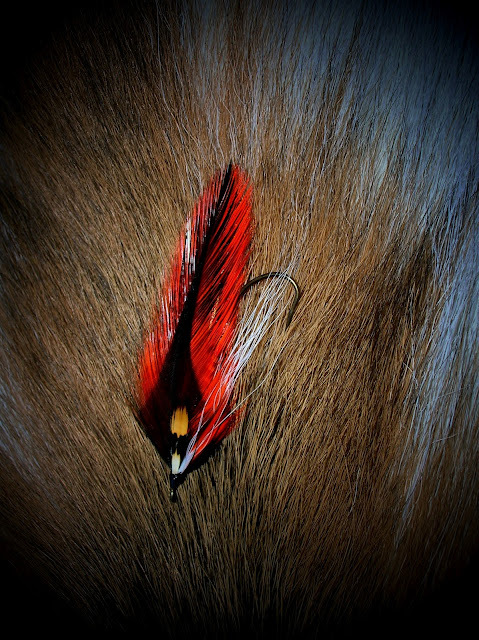 The man was quite a tyer of both fresh and salt water flies and is responsible for hundreds of patterns. A Boston "cabbie" and purveyor of his own fly tying materials by walking the road sides around Boston. His most famous photo, I believe was of him on a floating giraffe with a fly rod and fishing for stripers. This photo was on the cover of "Salt Water Sportsman"
A article on fishing streamers taken from a 1936 Field and Stream magazine. It's a good article and well done. On another page is an ad for Bristol Fishing Tackle. 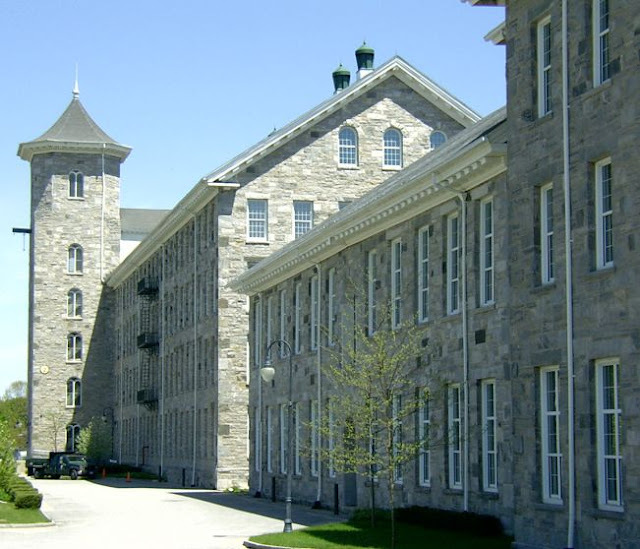 The company was located in Bristol, Connecticut. They sold bamboo fly rods and fly reels along with fly lines. Check the prices. I also came across these streamers. They are a few of my early attempts. At that time I didn't give them names. I guess they will be known as unnamed streamer 1 and 2. Digging around in old boxes in the cellar and garage can be like buying stuff all over again. Yesterday was a day to spend around the house. Pick up a few things at the store coffee being one of them. Stop buy the pharmacy and pick up a prescription and then go home and just do not much of anything. Well the sitting home didn't last long. The idea was sent out to visit a few streams I had not fished in a long time. The outing was just to see how they looked after the nor'easter that wreaked havoc on us back in October. Upon arriving at the stream I was surprised by how good a shape the stream was in. Its waters were flowing clear and crisp. There was minimal debris in and along the stream and despite a lack of rain for awhile it had good volume. I did not take the fly rod so I could not give a report on the fishing. I will give you a report on that soon. A beautiful freestone stream. This was not always the case with this stream. While this stream is so close to home and I have barely fished it. This may change soon with the price of fuel. Natures art. This painting is offered at no charge. Just a few words about the Grey's fly box. I picked this up Friday at Up Country fly shop. What a good buy. It cost 15.00 and is similar to a C+F at a cost of 40.00. These are a few variations of a proven pattern. They shall be tested today. Several years ago I had the pleasure of doing a fly swap with a fly fisher in Japan. Satoshi is a very good angler and fly tyer. He sent me several flies of two patterns. One was a thorax dun, and the other a Royal Coachman Parachute. Over the years I have fished them both but the parachute far out fished the other. Now I am down to just two of those parachutes, the others are lining the banks and trees along several trout streams. Well yesterday I spent a few hours on a small wild trout stream. I was armed with the RC parachute. The stream was ever so clear, but with a mixture of clouds I was able to move without spooking every fish. As that fly did it's drifting, it brought the trout to the surface. There were many many takes and I even managed a few to hand. As the day ended I was to leave with my one fly. It had not succumbed to the streams defenses but it lost some of the magic material the peacock herl. I love these guys. They love the Royal Coachman Parachute. This is a decal that was given to me by Kirk. It's quite nice, and a bit different. It's a brook trout but it's made of various trout flies, there's even a "Bomber" in there. 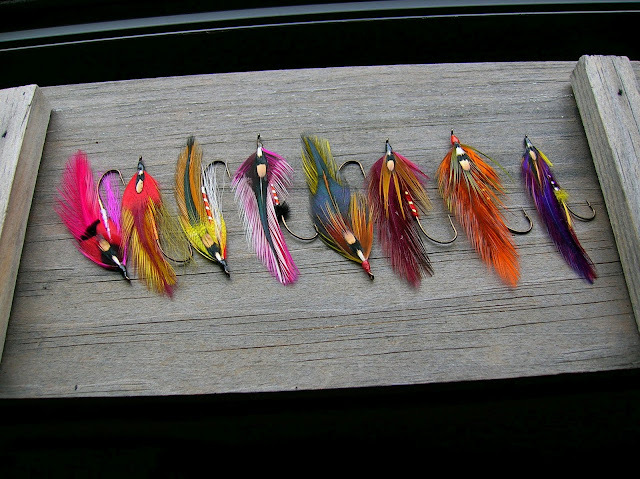 These are some beautiful trout flies. I don't remember where I got them, it was either a tag sale or on ebay. They are made in England and are very delicate. The flies are named in the box but I don't know if they had been moved around before. 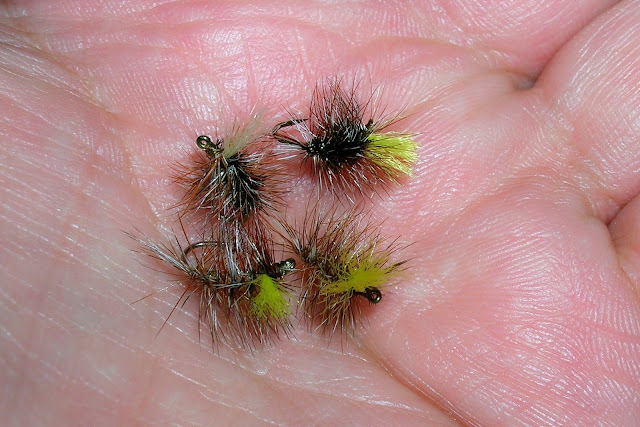 Perhaps Rod over at "Dry Fly Expert" might have some knowledge of these flies. This is one of the flies from the box. This is a streamer from Harry Murray, "Mr. Rapidan Streamer". It's a simple design but has all the qualities of a fish catcher. Yesterday was Valentines Day. Jeanette and I stayed home exchanged cards and enjoyed a few favorites. Well my second cup of Nantucket kicked in and I'm awake now. In a few hours the brook trout in a small stream will be awake and I'm going to pay them a visit. All of you have a fine day, and thanks for the visit. The Rangeley region of Maine has produced some of the finest streamer patterns ever. 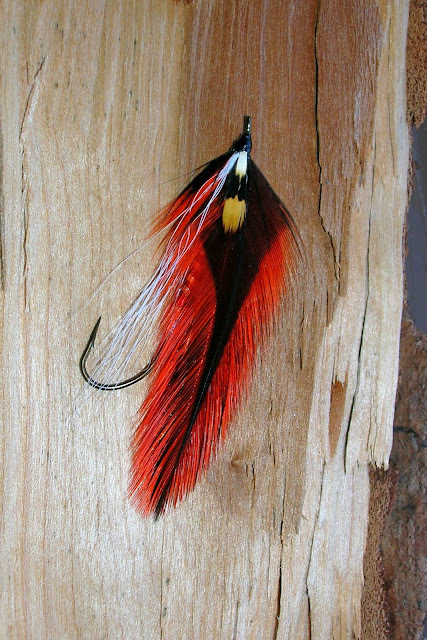 The areas tyers of the golden era of streamers are many and the flies that were created there were not only beautiful but also very effective in the taking of large brook trout and landlocked salmon. Carrie Stevens one the better known tyers of Rangeley region created many patterns, some of which were named for various sportsmen and friends of Carrie and her husband and Maine guide Wallace. One of their friends was Allie French of Willimantic Connecticut. He spent many summers at Upper Dam fishing its famous pool for trout and salmon. Carrie created a streamer and named it after Allie, I don't know if it was named a favorite because Allie fished it often or if it was named favorite because it caught fish. I can say this I have fished it both in Maine and Connecticut and have been pleased with its results. The American Thread Co. in Willimantic Connecticut. Allie French was its manager when "Thread" was a thriving business in Connecticut and the United States. The beautiful building is now a home to both small business and to people. This is the recipe for "Allie's Favorite" as told to author Joseph Bates by Carrie Stevens. Labels: Allie's Favorite, Rangeley, Willimantic CT. I celebrated a birthday this week, a milestone one at that. Jeanette had told me to go fishing it's your day but I opted out and chose another day. I was taken out for a fine meal, and enjoyed some homemade devils food cupcakes. Today my grand children are coming over and that's the best gift. In my travels this week I came upon these guys. They were moving about near the road and actually stopped to pose. There are some fine hackles there. 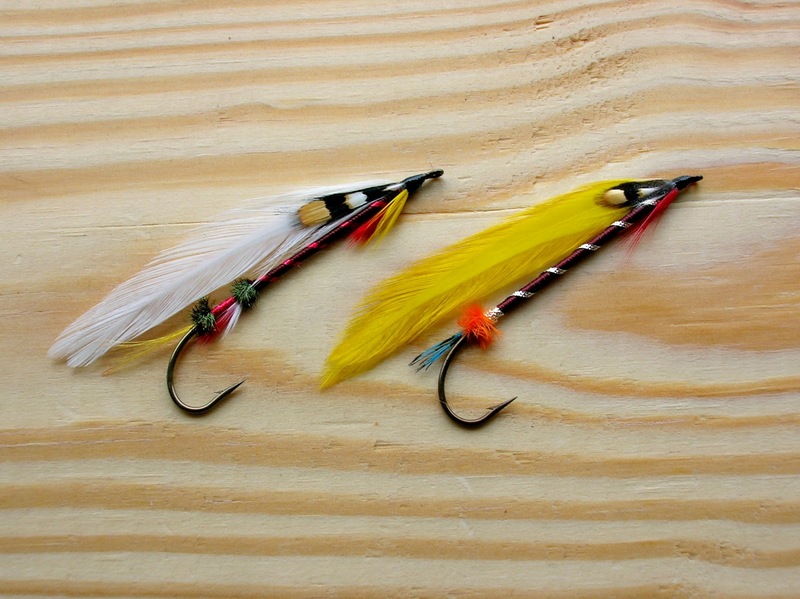 I assembled some featherwing streamers for an article for a web site. I have to photograph each one, give the recipes and a bit about them. With the cold and snowy weekend on the way I should get it done. I had this penciled in for this weekend..."Eggplant Parmigiana". I couldn't wait so I made it last night. Maybe lobster mac and cheese for the weekend. Winter trout fishing is usually reserved for those days when the sun can be expected to reach earth and take the bite out of the cold and give the angler a fighting chance to fool these wild salmonids who swim these waters. We have been fortunate this year to have many of these days, and the results have been wonderful. Monday was one of those days that found Kirk and myself fishing a small stream. While catching a few trout is the objective it's not the only reason we're out. The beauty of winter waters are many, I especially love the ice formations on the stones and branches along the stream. 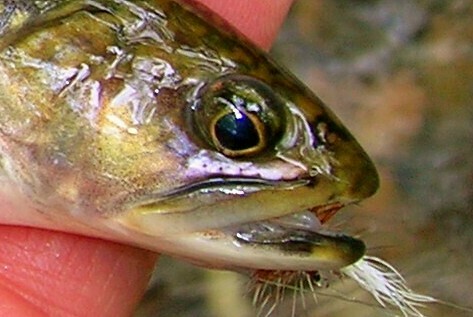 To see a winter stone fly hatch from 40 degree icy water and fly to safety before a hungry trout ends it short life. The sounds of the water as it rushes over obstacles, the sound increased by the crispness of the air. These are a few of the reasons we fish winter. 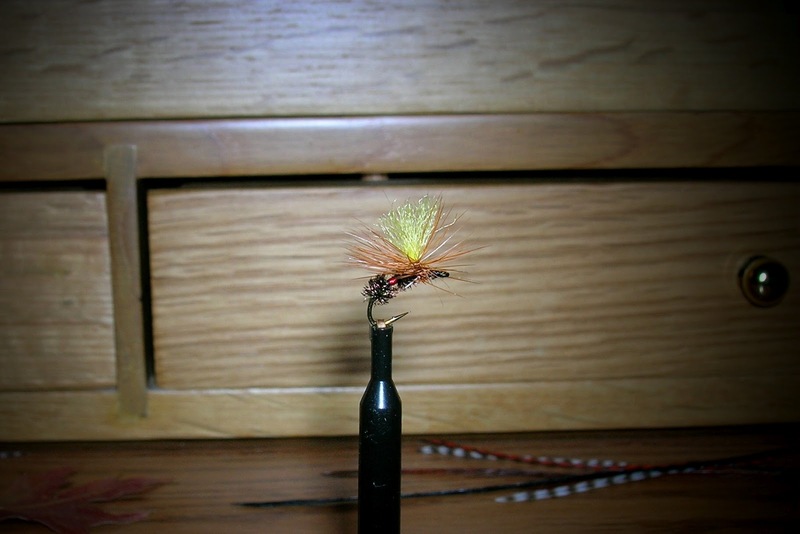 I started fishing a dry fly, because I like fishing dries. Kirk fished the Picket Pin. We each brought a wild brookie to hand and after a quick photo sent them on there way. Kirk soon changed to a dry fly and had taken his first winter trout on a dry. This day ended very successful in many ways. A day etched in my minds journal. A winter brook trout and an elk hair caddis. Kirk with his first winter dry fly brookie. Is he a convert? The stream is in great shape, and the brook trout are too. Care, admiration, and respect are shown. While the stone flies were taking wing along the bank, the trout were taking along the log and the small rock on the right.